STREET CRED: The cobbled street of Gold Hill that is synonymous with the 1973 Ridley Scott Hovis advert. It is also featured on the book cover of Harry Potter author J K Rowling and two different adaptations of Thomas Hardy’s Far From the Madding Crowd. 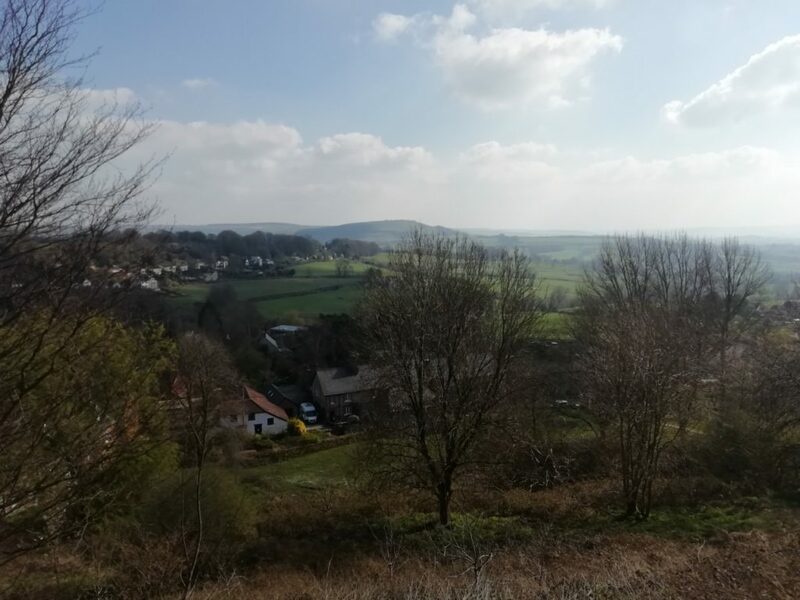 VALE VIEWS: This is the view on the Blackmore Vale of North Dorset and South Somerset that is seen from the Park Walk that is immediately to the right of Gold Hill in Shaftesbury. 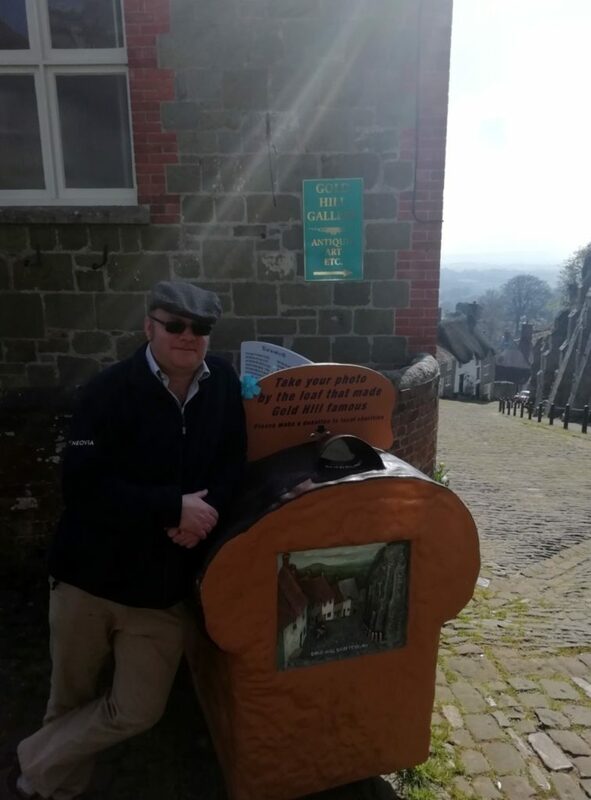 BREAD MONUMENT: This is the Hovis Bread Monument at the top of the Hill that I am parked up next to. A contribution to the upkeep of the area is catch when a taking a picture here. ONE of Dorset’s most photographed streets was bathed in sunshine on a recent visit there. A friend from Hungary and his new wife were visiting the county, visiting old haunts where he had lived previously, and I took the opportunity to join them and fuel my curiosity about Gold Hill, Shafesbury having not been there in several years. 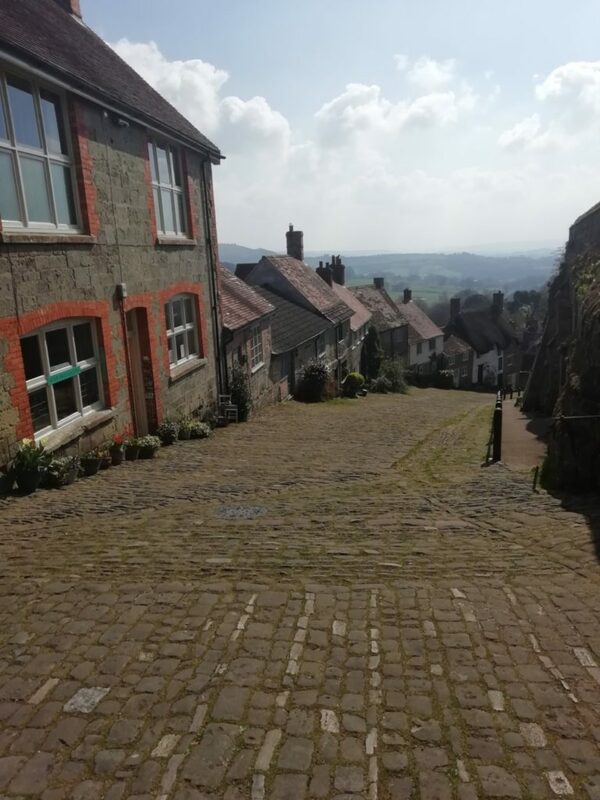 Shown on many annual calendars, this cobbled street is most famous for the 1973 advert for Hovis filmed by Ridley Scott and is described as “one of the most romantic sites in England”. It features a boy on a bike wheeling up the hill with his loaf of bread to the movement of Anthony Dvorak’s Symphony Number 9. What is not widely known by many outside the county are the far reaching views across the Blackmore Vale of North Dorset and South Somerset from the wonderful Park Walk that lies immediately to the right of Gold Hill. There is limited parking in the centre of town or in the main car park which is only a three-minute stroll from the centre of town. For those who come via rail, the nearest station is Gillingham, which is four miles from Shaftesbury. At the top of the Street lies the 14th Century in St Peter’s Church and is one of the few buildings in the town left from the 18th Century. Sun and Moon Cottage, the former priest’s house is part of the Gold Hill Museum and hosts a small shop currently. The cobbled street borders the Grade I Listed Walls of the ancient Shaftesbury Abbey built by King Alfred the Great. The origins of the walls are unknown but it is reputed that they were built in the 1360s when the abbess or the authority were given royal permission to build town defences. Gold Hill has been the setting for films beyond the Ridley Scott advert. The Two Ronnies’ parody sketch of himself endlessly walking up the hill with a loaf with no end in sight is as well known as the original advert. Gold Hill was also the setting for adaptations of Thomas Hardy’s Far From The Madding Crowd 42 years apart (1967 and 2009). The most recent one featured the production by The Gryphon School directed by independent film maker Rosita Clarke. Every year, the street hosts the annual Gold Hill Fair that raises money for local charities. The street and the park walk are littered with craft stalls, music stalls, games and the annual van pull.